Things to do in Quebec City, Canada of course depend greatly on the season when you decide to visit this historic and charming Canadian city. In this post FPImages presents 10 travel tips for winter season. 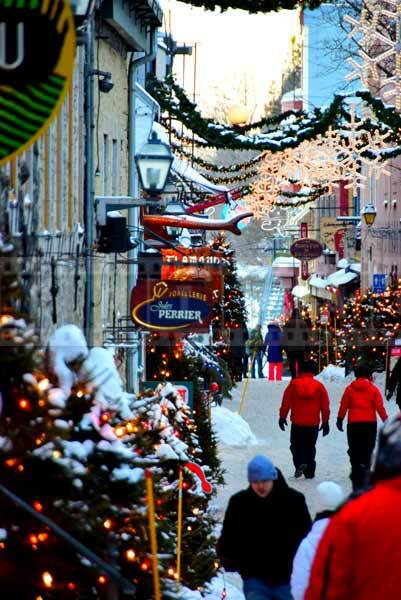 Quebec city attracts lots of visitors in winter months and has an excellent reputation as a premier winter destination. 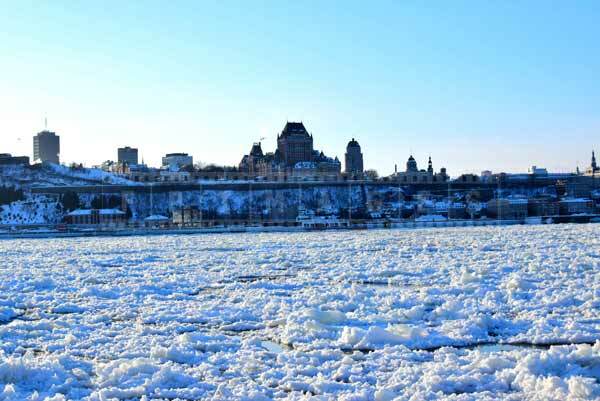 Things to do in Quebec City in winter time include many outdoors activities because this is what this city is famous for. Local people lead active lifestyle and enjoy winter. Visitors are encouraged to join this tradition and take part in numerous events. There will be a chance to spend some time indoors too. Tourists can visit several museums, churches, browse through many shops and of course taste great food. However, remember that most of the fun is outdoors. There you will find scenic winter cityscapes to take great winter pictures, you will walk through old streets and see romantic old town, or you will have fun on the alpine ski slopes. 1. Things to do in Quebec City in winter time definitely include seeing Quebec winter carnival parade. 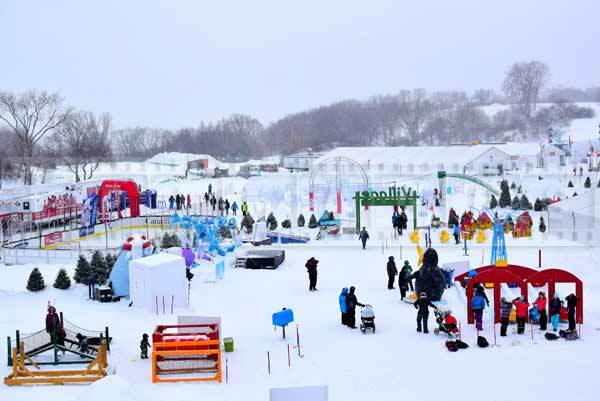 Quebec winter carnival lasts for about two weeks in the beginning of February. There are usually two parades held on Saturday nights one week apart. First night parade is held in a residential area called Charlesbourg and the second night parade runs along Renee Levesque and then Grande Allee and ends up near the Ice Palace close to old town. 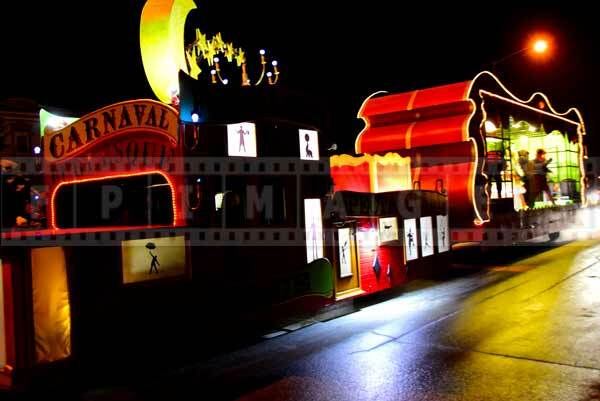 Both parades features the same collection of floats and artists and take about 90 minutes. To have fun during this event one of the most important travel tips would be to dress very very warmly. Temperatures at this time of year at night will be close to -20C. 2. Visit Quebec city winter theme park also known as Bonhomme’s Winterland. Bonhomme is a snowman mascot of Quebec city winter carnival. This venue is setup in the Plains of Abraham park and is just outside of old town. There are many things to experience at Bonhomme’s Winterland. You can see snow and ice sculptures and take great winter pictures. You can try dog sledding, ice hockey, snow tubing, open air hot tubs and of course taste delicious street food snacks and drinks. 3. Take Levis-Quebec city ferry. Believe it or not but this ferry service operates even when St. Lawrence river is covered in ice. Plan this trip early in the morning or at sunset and you will be rewarded with the gorgeous views of Quebec city skyline. Levis-Quebec city ferry crossing is a trip that will delight boat enthusiasts. Commercial marine traffic continues on St. Lawrence river in winter time and the way ferry makes its way through the ice is fun to watch. This is also very scenic route and people will enjoy looking at Quebec city skyline with multiple church spires and unmistakable Chateau Frontenac. 4. Romantic things to do in Quebec City, Canada definitely include a walk through old town. Weather you arrive by ferry, by car or on foot this walk is the best in early evening. 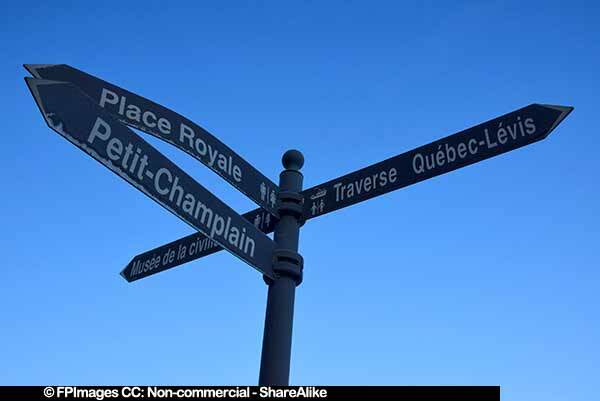 Travel tip – plan to arrive when there is still light in the sky, old Quebec (Vieux Quebec) also called lower town has many historic buildings and well preserved streets. This area is nicely decorated in winter season and all outdoor Christmas decorations are still there for Quebec city winter carnival. When outdoor Christmas decorations light up and there is still glow in the sky is the most romantic time to go for a walk through Vieux Quebec. 5. List of things to do in Quebec City would not be complete without the visit to Chateau Frontenac – one of the most prominent Quebec buildings built in 19-th century. Travel tip – if you would like to stay at this hotel (or any other in old town) during Quebec winter carnival, plan and book well in advance as last minute availability will be limited. Regardless weather you stay at Chateau Frontenac or not you can explore the hotel, have a meal or brunch at the restaurant. 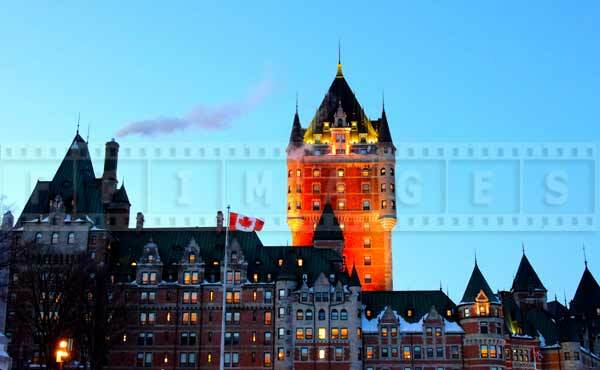 Area around this hotel is worth exploring with beautiful romantic scenes of the hotel itself, Quebec citadel and St. Lawrence river.